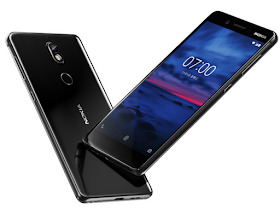 Nokia have of recent announced a new device called Nokia 7. This new device is so damn cool with lots of nice specs and features. The Nokia 7 spots a 5.2 inches 2.5D curved glass which is protected by Corning Gorilla Glass 3. It comes with a rear-facing fingerprint sensor, 4G LTE enabled, and runs on Android 7.1.1 Nougat. The phone is of two versions, one of 4GB RAM while the other is of 6GB RAM. the phone is nice and it has a good spec and a good ba3 capacity. WOW,this one is absolutely perfect,am loving it!